Site welfare is easier to manage – and far more effective – when it’s truly mobile. 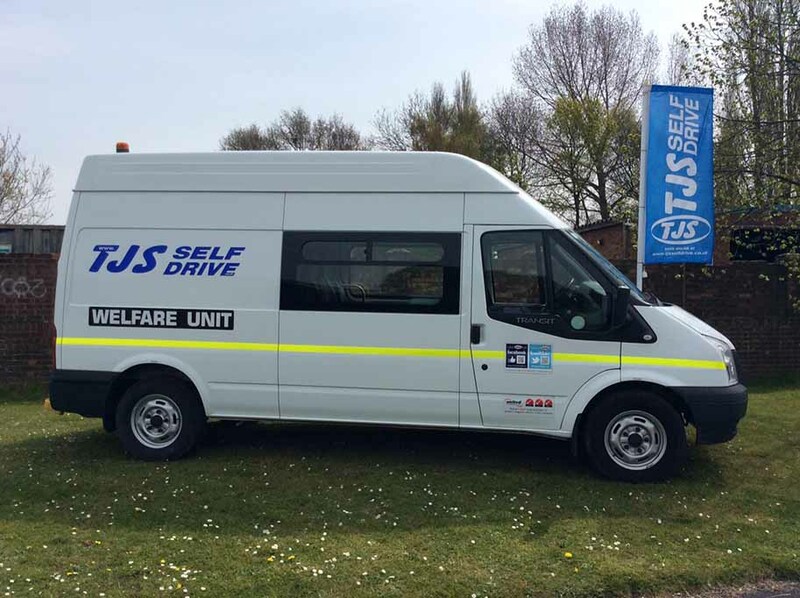 TJS mobile welfare units have been designed specifically to provide essential facilities for work crews in remote and greenfield sites. As an alternative to (or as well as) a welfare van, hire a mess van to increase overall welfare capacity. Our mess vans feature the same specifications as our welfare vans, but have increased storage space in the rear. Do you hire welfare vans to fleet rental companies? Do you do long term hire of welfare vans? Does the rental include the sanitary maintenance? Hire your welfare van now. Call or e mail your local TJS branch to discuss your exact requirements and specification to exactly suit your needs.